If you’ve blown the birthday cake candles forming the shape of the number 40, or you’re about to do it, you’ve probably noticed how your skin is changing. Unfortunately, it’s probably not something you are happy nor excited about. As we age, our skin can become dryer and flakier, and exhibit fine lines and wrinkles. This is due to the natural decrease of lipids in the skin barrier, but it doesn’t only happen because of ageing. Environmental factors, such as harsh Australian sun, as well as your habits, can oxidise the lipids in the skin. Once the skin barrier is weakened, it will be easier for all sorts of irritants to penetrate the skin – we’re talking various bacteria, allergens, chemicals and pollution. You certainly don’t want that, as it can lead to inflammation and red, itchy, cracked and painful skin. Here’s how you can help your skin restore its skin barrier for good. Many women love the feeling of a squeaky clean skin given by a harsh exfoliant. Sure, removing dead skin cells is important, but when you scrub too hard or too often, it can prove quite harmful for the skin. Insisting on aggressive formulas and physical exfoliates, like seeds and nutshells, can cause micro-tearing in your skin and remove multiple layers of skin cells. 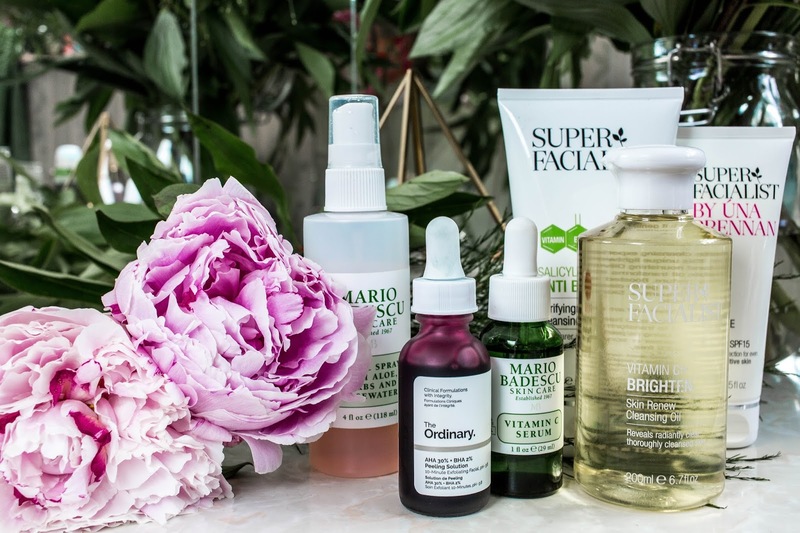 It’s possible to give yourself a good cleanse even if your skin stays where it is! Sometimes it’s not just the physical exfoliants that harm your skin barrier: some foaming cleansers containing sulphates will remove oils and beneficial bacteria from your skin, so even though they might prove useful for certain skin issues, they will do harm on another level. That’s why you should find the products that will perform equally well but also keep your skin barrier safe. Clay and tea tree essential oil, for example, are great natural cleansers that work like a charm but keep your skin safe as well. Drugstores and beauty shops full of wonderful products that won’t do your skin no harm – feel free to ask the shop seller for advice. We’re not saying you should always bathe and shower with cold water, but generally speaking, you should avoid doing it with hot water. If you really like the sauna feeling under the shower, make it a minute or two, but not more, and definitely never put your face under the shower. Hot water is known for stripping the skin off its barrier, so try to always cleanse with tepid water. Living in sunny places, you probably do this daily already – good for you! Wearing a daily SPF is an easy way to protect the skin barrier. Going outside with no SPF is likely to damage your skin barrier and not only that but your DNA as well, which is responsible for premature ageing of the skin. Please resort to a sunscreen every day and keep your skin barrier where it should be! In case you have already noticed wrinkles and age spots, you can talk to a reliable plastic surgeon or dermatologists about non-invasive procedures to tone up the skin such as dermabrasion and fat transfer. But while you can still prevent a myriad of sun-caused skin issues, do it! Sure, the better your diet, the better will your whole body work – and that includes the state of your skin. You know the drill already: lean protein, fibres, and lots of fruits and vegetables are a foolproof recipe for a healthy body. Your skin, however, will particularly love omega-rich foods. These include salmon, fish oil, walnuts, and flax seed. In general, of course, try to avoid junk food as much as possible. You may reach for a burger now and then, but don’t base your diet on it. Proper nutrition will make every cell in your body as healthy as possible, and that means healthy and glowing skin as well. When you get home from a looong day, or after a night out, grabbing a wet wipe is the easiest way to take off your make up. But it’s the worst! Wipes and micellar waters can strip you of your skin barrier, as they more often than not contain alcohol, which dries out your skin, and fragrances that can be irritating to the skin. Please find an alternative to this duo, for example, a mitt designed especially for makeup removal. Easy as one-two-three, but also not harmful! Sure, we know no one has ever stopped stressing by reading a piece of advice that says “don’t stress”. But not being stressed is one of the crucial things when it comes to skin care: it will be challenging to maintain the good condition of your skin, no matter how much attention you dedicate to it if you’re stressed out all the time. Yes, do find the right products to protect and repair your skin barrier, but at the same time, pay attention to what’s happening inside of your body too. This means proper nutrition and stress management, as failing to achieve these two can leave your skin barrier in a weakened state, together with skin conditions flaring up. Take care! Being gentle with your skin will generally keep it in good condition. While many skin concerns can be tracked down to the damage to the skin barrier, the good news is that it can be repaired. Follow our tips, and you’re in for the win. Yay!